The Yoga Loft is a boutique studio nestled into Historic Downtown Rogers. 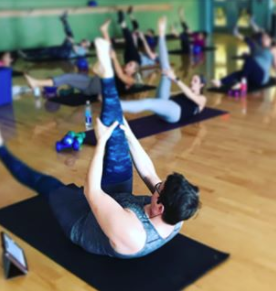 We believe that a yoga class should be more than an instructor listing a series of poses. A class should be individualized attention where student and teacher laugh, work, and grow together. All of our instructors have the same mission to bring individualized attention to each and every student. We can't wait to see you on the mat! Get to know our staff before you stop by! 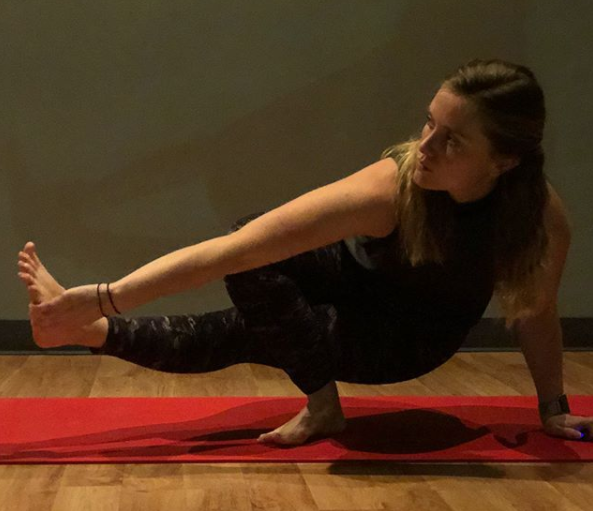 Kayla found yoga 10 years ago after her second fractured knee left her feeling frustrated. After having been an active individual, she sought a physical exercise that was challenging, yet forgiving. Yoga fueled her competitive spirit while simultaneously granting stress relief. After continuing dedication, she has found that yoga is more than physical work. Yoga is a lifestyle that is applicable to all aspects of your life. Her mind is calmer and her body is happy. When not at the studio, you'll find Kayla lost in the woods, perfectly content. 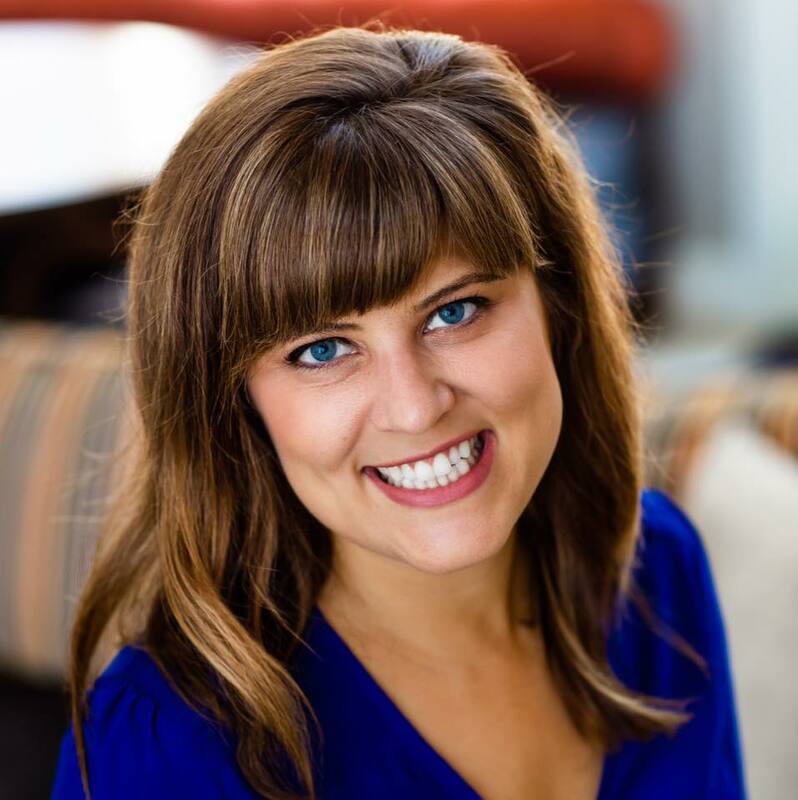 Abby's passion is to create a welcoming environment, challenging her students to grow in their practice. She has been practicing yoga since 2011, and decided to become an instructor in 2016. Abby truly believes yoga is special because it is so inclusive; everyone can do yoga and everyone would benefit from a regular practice. When not at the studio, you can find Abby spending time with her two dogs and husband. Sarah Myers found yoga about 10 years ago after a toe injury drastically altered her plans to pursue dance. She started practicing as a way to stay active and limber post surgery but wound up falling in love with all aspects of yoga. She's spent the past decade practicing under different teachers at various studios across multiple states. Two years ago, she received her 50-hour teaching certification and has been practicing and teaching around NWA ever since. She's excited to meet and spend time with the fabulous yogis at The Yoga Loft! Cody has always strived to be just a little different. His classes are all about the energy we give and get from each other. Cody began falling in love with yoga after finding his body hurting after high-impact workouts. He quickly discovered that he no longer needed those high impact workouts for results. As he pursued his passion for yoga and health, he saw results not only physically, but emotionally. Now Cody enjoys sharing those discoveries with others while helping them to make their own discoveries. When Cody is not in a studio, you can find him enjoying time with his husband and their family. Joe has been practicing yoga for over 7 years. His favorite style is hot power flow but has grown to appreciate and understand the importance of including yin as part of his practice. He started practicing yoga as a low impact form of exercise but stayed with the practice for the improved mind/body benefits it brought to his life off the mat. Joe’s goal as a teacher is to help make yoga accessible for people of all ages and abilities and eagerly. Angela has been practicing Yoga for over 10 years. She recently finished her 200hr RYT training. She enjoys vinyasa flow style classes but has recently been very intrigued by Yin Yoga. It gives her the opportunity to completely decompress and focus inward. She loves meeting new people and hearing about their personal yoga stories. When not on her mat you can find her spending time with her husband, two boys and dogs on the lake!